The bio safety cabinet is a negative pressure safety device which widely used in microbiology, biomedicine, gene recombination, animal experimental and biological products for scientific research, teaching, clinical examination and production. It adopts advanced air purification technology and negative pressure box design, and it realizes the protection of the environment, users and samples, It is the most basic safety equipment in laboratory biosafety protection. which make move agilely and location reliably. 2. LCD screen displays measured parameters. 3. The latest constant wind speed technology with the functions of automatic tracking and adjusting output control. 4. USA wind speed sensor and differential pressure sensor, sensitive and precise. invalidated and wind resistance enhances and filter is dilapidated, it will alarm with sound and light automatically. when front window is closed. 7. 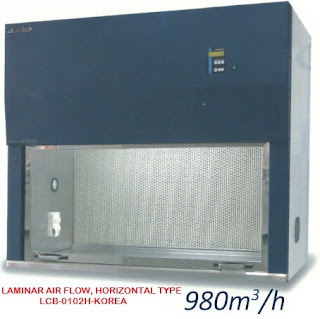 HEPA offers a filtration efficiency of 99.999% for 0.3μm particulate. 8. 5°tilt front window meets the human engineering principle which weakens the dazzle. 9. Toughened glass front window which is anti-explosion, shatterproof and uvioresistant. 10. Working chamber is made of SUS304 with arc angle design which is convenient to clean the residues. 11. Moveable SUS304 operation table-board which is firm, durable and easy to clean. 12. Euipped with antispray socket, air and water source interfaces. 13. EBM centrifugal fan, life is longer, the wind speed is stronger and more steady. which is easy to clean and letout Options: exhaust hood and exhaust duct.